How may business miles did you do in the last 5 years? How many years have you been wearing uniform? How many SIA Licenses did you pay for in the last 5 years? © 2009 - 2018 Security Industry United (SIU). All rights reserved. Security Industry United and SIU are the respective trademark of the Security Industry Union Ltd. Registered office: Headlands Business Centre 10 Headlands, Kettering, NN15 7HP Registered in England & Wales No. 7051660. SIU is not an insurance broker, underwriter or a trade union. 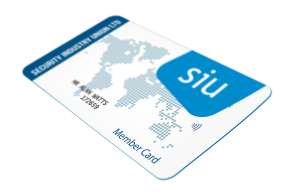 SIU member benefits are discretionary. Our preferred solicitors are regulated by the Solicitors Regulation Authority. Executive Director Mr Tolga Kavak.